This week’s Senior Spotlight is Ivoryonica “Ivory” Ysquierdo, a senior Interdisciplinary Studies major graduating this May. She is originally from Houston, Texas. On campus, she has served as both a Life Group Leader and a Life Group Captain. 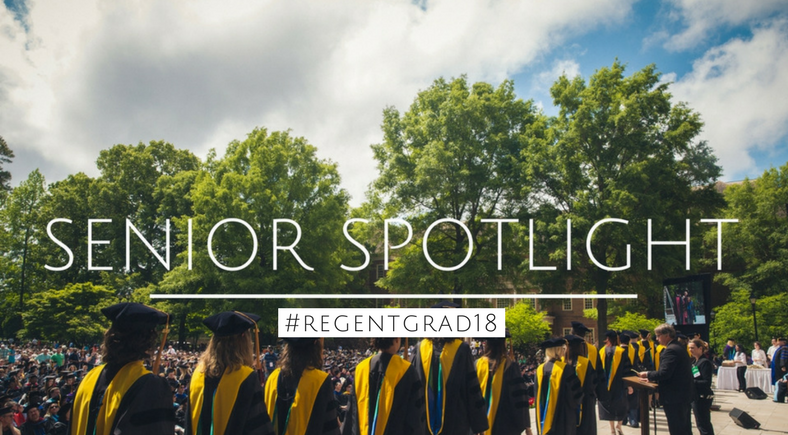 After graduating she will be working as the Children’s Director at her church in Virginia Beach while finishing up her student teaching to find a job as a teacher. Ivory (center) with her Captain group, Virginia Beach, V.A., Aug. 2017. She gave a bubbly laugh. It was clear that she had a huge heart for children, and that would be shown through her own family, although maybe not twenty kids worth. Ivory is a bubbly, joyful woman, whose heart shows the Father’s love and is pursuing it fervently. She has been a blessing and a joy to have on this campus, and has made an impact in more ways than one.